Posting sarcastic twitter images have become one of the coolest things in town!. We encounter so many tweet images which are so humorously quoted that they make our day. Well, You know the extent to which these tweets are trending on Facebook and Instagram. Thus, you must know about the best Fake Tweet Generators out there. Those who are liked are screenshotted and then shared on other social media platforms like WhatsApp. People use these fake tweets to post as their statuses as they want to look cool among their peers. Be it Instagram or Facebook, posting this cool tweets and a creating a dedicated page for it may bring you fame. So if you think you’ve got the whimsical sense to make a successful, funny fake tweet, then we present you the following. Use this fake twitter generator apps and make it as hilarious as possible! 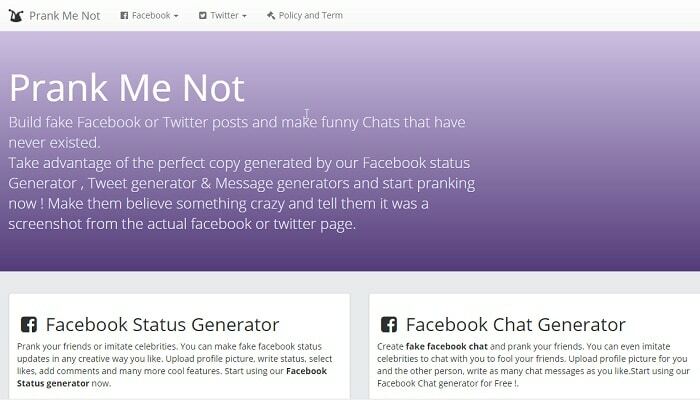 In case if you’re thinking of downloading an app and creating some fake tweets, then please do read this article as it will tell you about some cool, readily available online fake tweet generators tools. 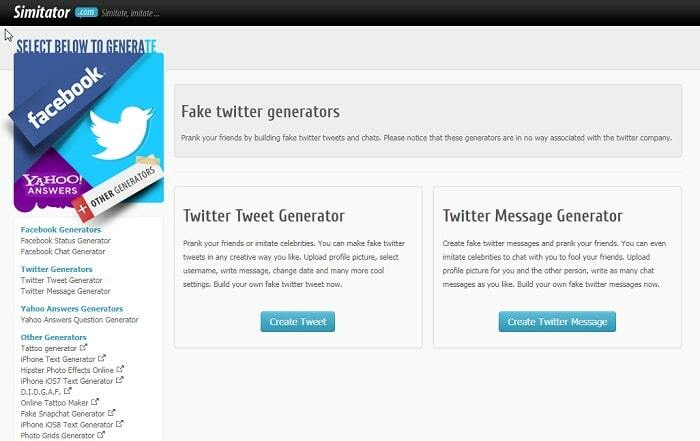 Fake Twitter Generators You can create not only fake tweets but also send fake messages. TweetFake One can create fake tweet in the name of anyone. Twitterino All you need to do is search for a username and create your fake tweet! PrankMeNot One can use it for both Twitter as well Facebook. Simitator Prank on your friends and fool them by creating some believable fake tweets. FakeTrumpTweet Impersonate America’s president and make some really “Yuge!” and hilarious tweets. When it comes to fake online tweet generating Fake Twitter Generators proves itself to be better than the rest. You can create not only fake tweets but also send fake messages. 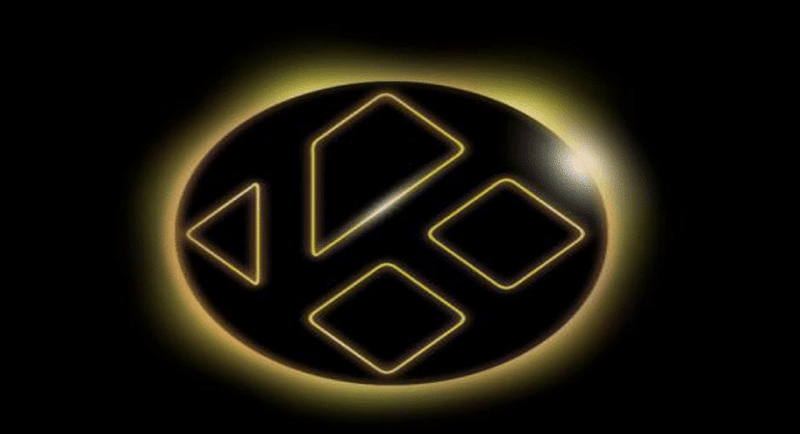 You can use this online resource for. When it comes to fake online tweet generating Fake Twitter Generators proves itself to be better than the rest. You can create not only fake tweets but also send fake messages and it is possible to use this online resource for the generation of yahoo question answers, fake facebook statuses. 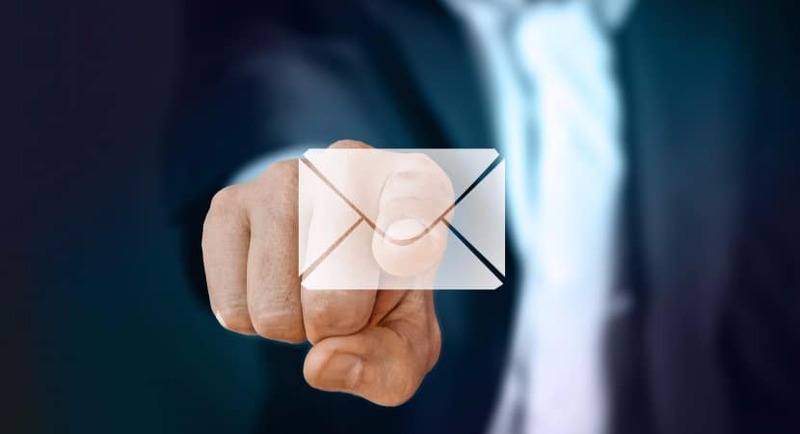 You can build fake facebook posts and create a conversation that never happens! 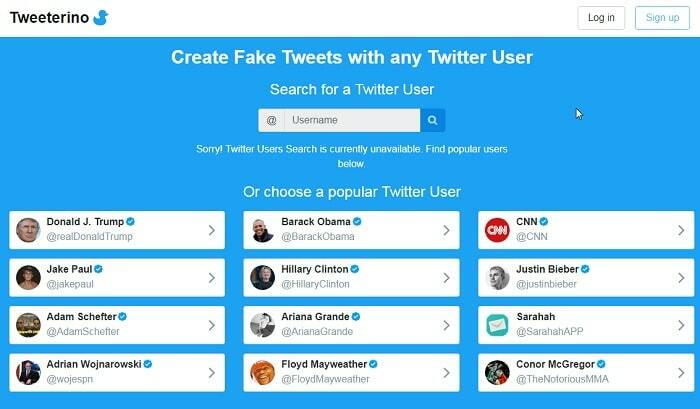 This tool enables everyone to create fake tweets that look like another person has tweeted something. Screenshot that tweet and share it with your friends like a pro!. One can create fake tweet in the name of anyone. It is advised not to hurt anyone’s sentiment in this process of fun. Twitterino lets you create fake tweets with any Twitter user. All you need to do is search for a username and create your fake tweet! At tweeterino.com you can quickly generate a Fake Tweet image with any Twitter user and share it with your friends for laughs. Just opposite to what the name suggests Prank me not lets the user to not only generate fun fake tweets but also messages. 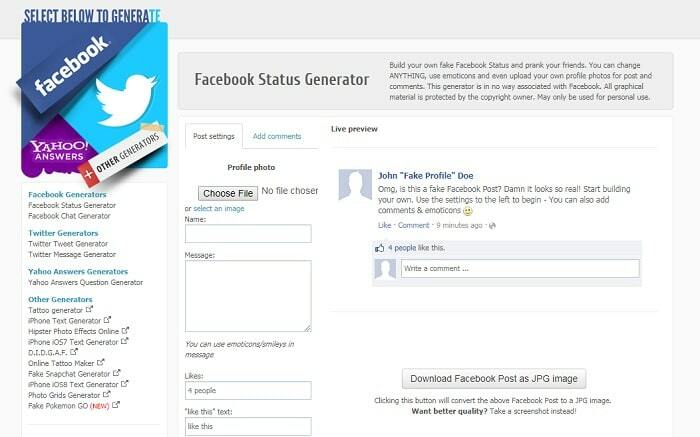 Here you can also create fake facebook posts and fake facebook chats. Conversations that never really take place!. One can use it for both Twitter as well Facebook. Simitator.com is one of the websites which provide an easy method to create fake twitter tweets. 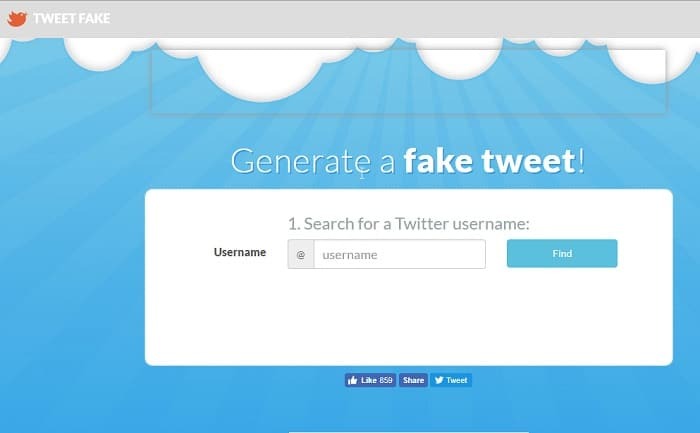 Similar to the fake tweet generator tools as enlisted above this online tool lets you prank on your friends and fool them by creating some believable fake tweets. Then go on filling the embed text, retweet text, reply tweet, favourite text, more text. After completing the above procedures, you can download your fake tweet in the form of jpeg format or for better quality you can take a screenshot of it. 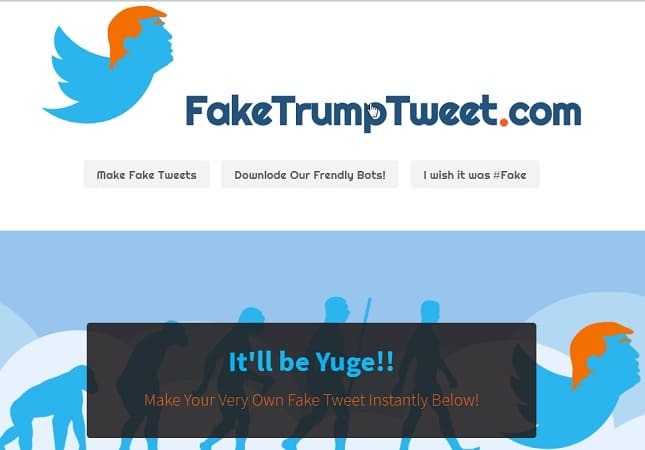 In case if you want to impersonate America’s president and make some really “Yuge!” and hilarious tweets this one’s the perfect Fake Tweet Generators for ya! After going to this website, you can directly and instantly create fake tweets. There’s no hassle of navigating through different pages searching for the tweet generator. 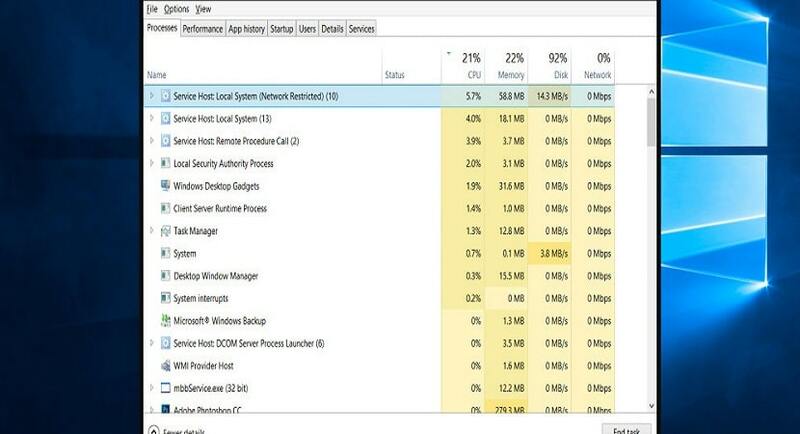 Put your text in the text-box and there you go!. 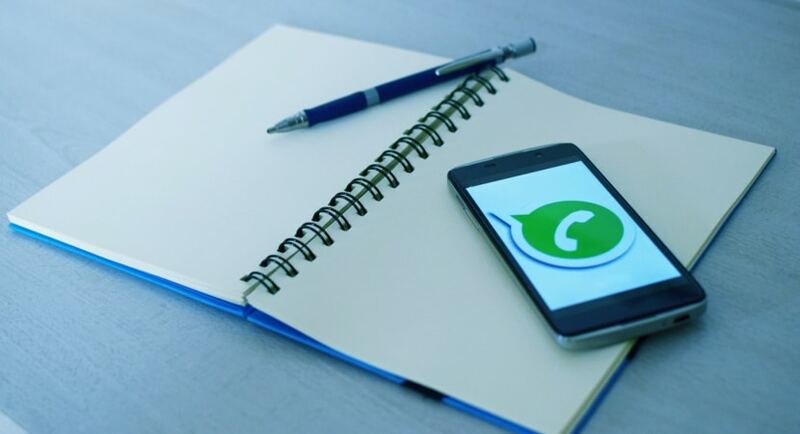 If you’re a telegram user, then you can use the telegram bot to make your messages great again! In the same way, if you’re a slack user then you have slack Bot at your bay to make your messages amazing! In case if you’re wondering about how to use this bots then worry not. On this website, they have also enlisted the instructions to use the bots step by step. So what are you waiting for?! Go ahead and generate a hilarious fake tweet right now!